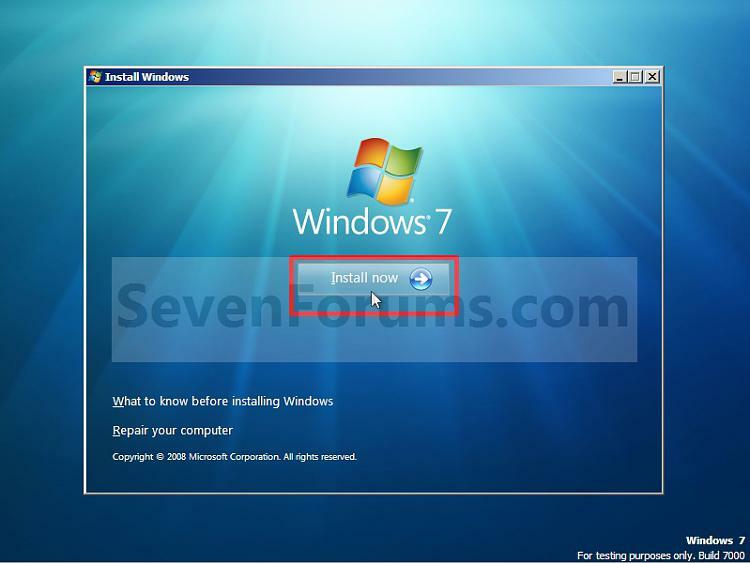 This will show you how to create a Windows 7 VHD file at boot on an existing installed OS's (ex: Vista or Windows 7) C: hard disk or partition to be able to natively boot from the Windows 7 VHD at startup in the Windows Boot Manager. 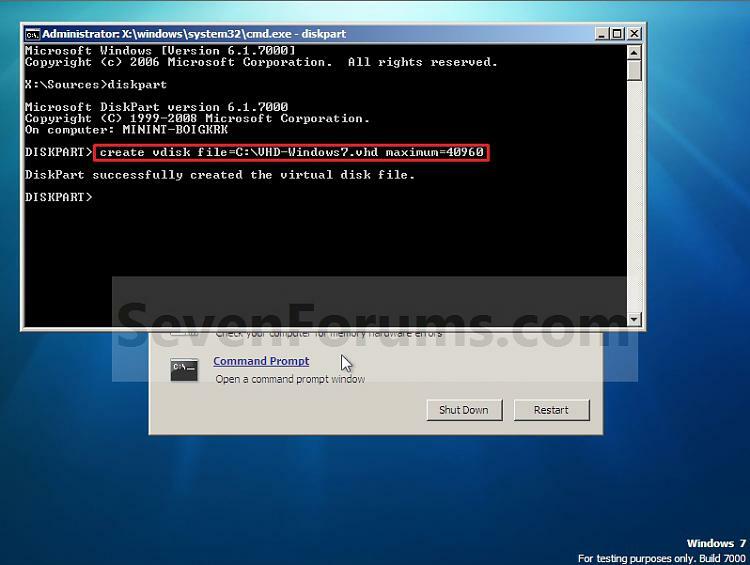 This tutorial uses an example that will create a C:\(file name).vhd file on the C: drive/partition at boot that is used to natively boot from at startup. You will be able to create the VHD file on any partition or drive letter that you like though. 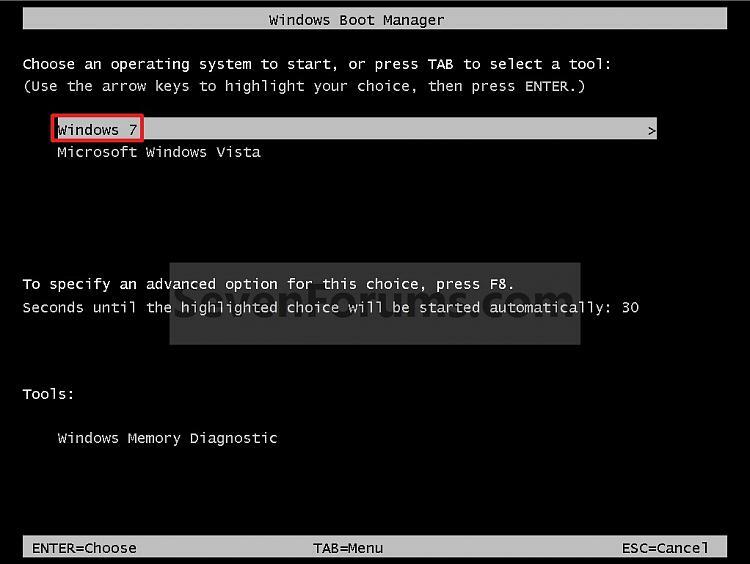 All Vista, Windows 7, and Windows 8 (except Windows 8 RT) editions support booting from a VHD. 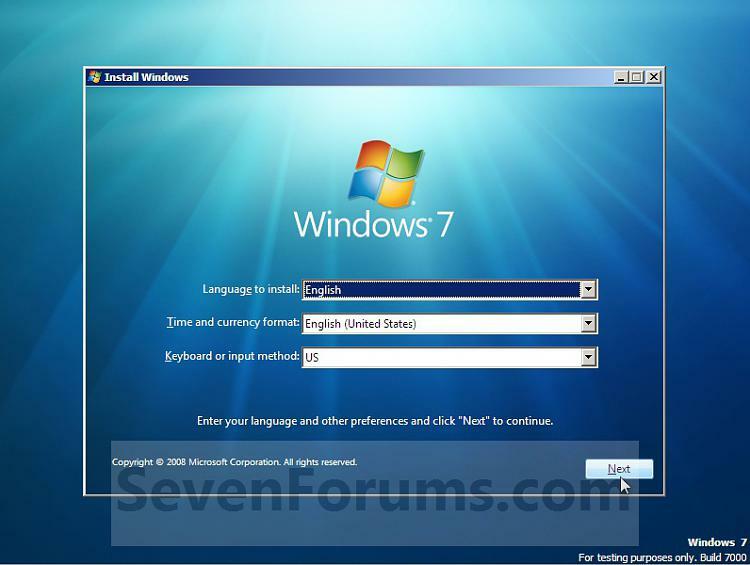 You must have either Windows 7 Ultimate, Windows 7 Enterprise, Windows 8 Pro, or Windows 8 Enterprise installed on the VHD to be able to boot from the VHD natively. 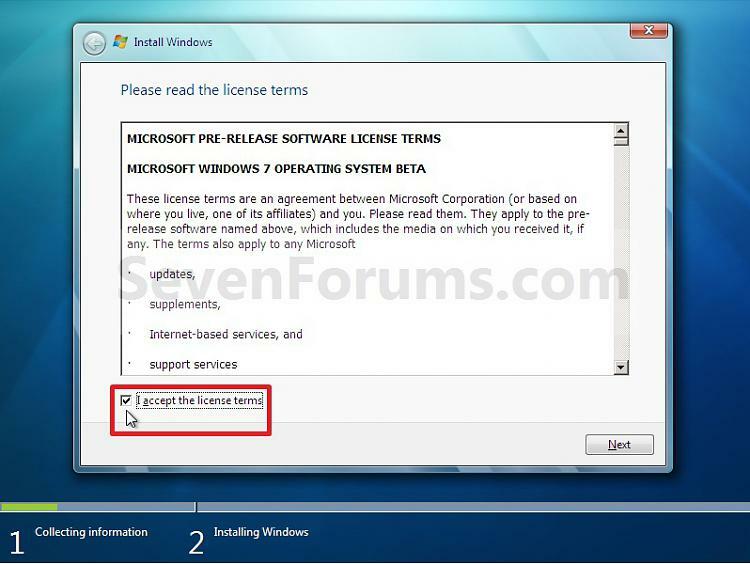 NOTE: You will be able to either select your currently installed OS (ex: Vista) or the VHD file (ex: Windows 7) in the Windows Boot Manager to start your computer with. NOTE: This is where the VHD file will be stored at on your currently installed OS (ex: Vista) to be used to boot from. 1. 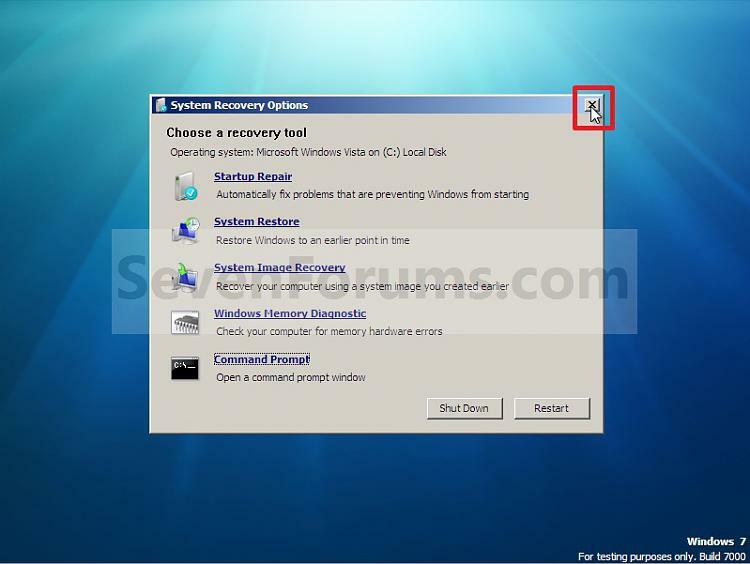 Boot from your retail copy Windows 7 Ultimate or Enterprise installation DVD/USB, and do step 2 or 3 below for what you would like to do. NOTE: You will use OPTION TWO at that link. NOTE: This will allow you to see what the drive letters are for each volume. They are not always the same at boot as they are in Windows. 6. Do either step 7 or 8 below for what type of VHD file you would like to create. NOTE: A fixed VHD file will allocate the entire maximum size (ex: 40GB) that you set below for the VHD file size. 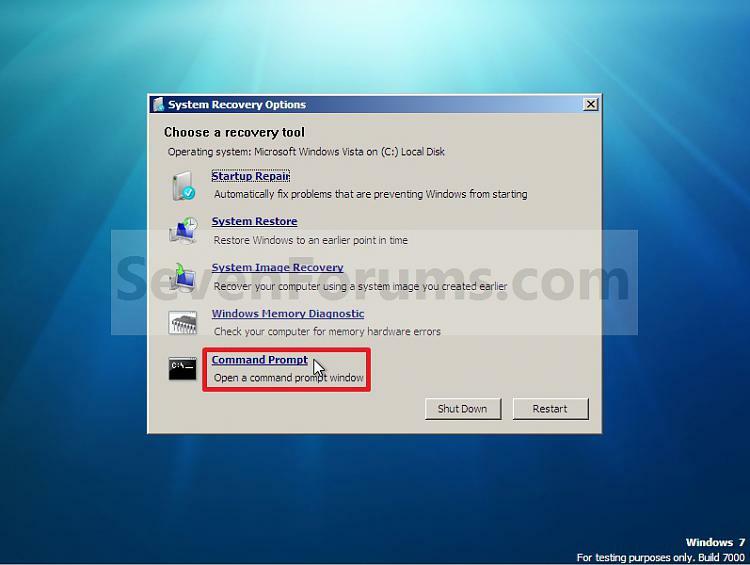 A) In the command prompt, type the command below and press Enter. 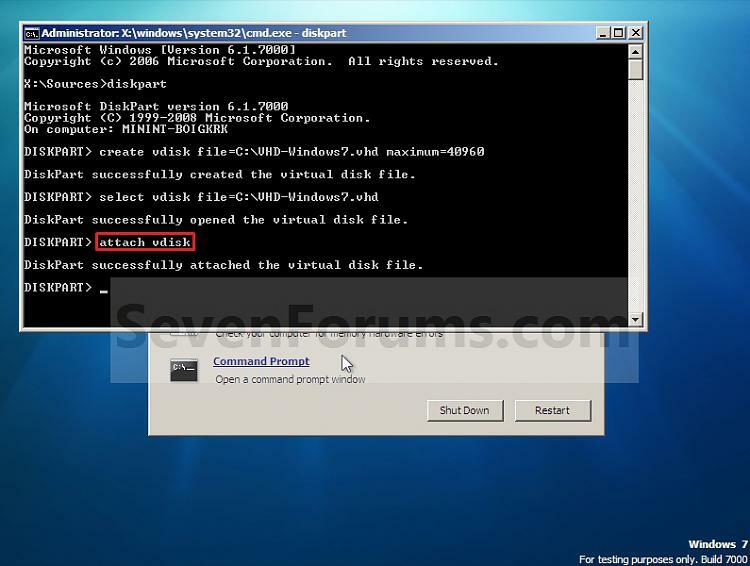 NOTE: Substitute the C drive letter in the command below for what volume (step 5) you would like to create the VHD on. NOTE: You can substitute the VHD-Windows7 name with any name you would like for the VHD file instead. You can also substitute the maximum size of 40960 MB for the VHD to the maximum size you want instead in MB (1GB = 1024MB). NOTE: An expandable VHD file will only be as large as the amount of data that is saved in the VHD file, but still can get as large as the maximium size (ex: 40GB) that you set below. For example, using this option, the VHD file showed only 7GB instead of the full 40GB. 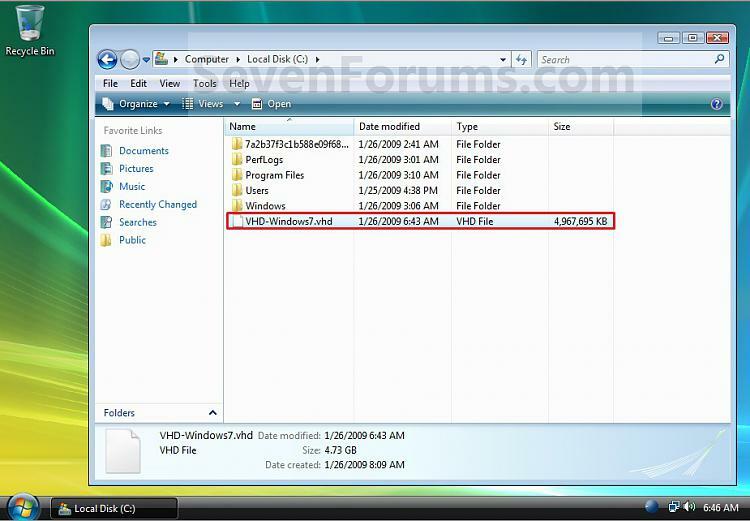 Even though the VHD file is expandable, you may need to install Windows Virtual PC to have a program associated with VHD files to actual see only the smaller size instead of the larger size for the VHD file. 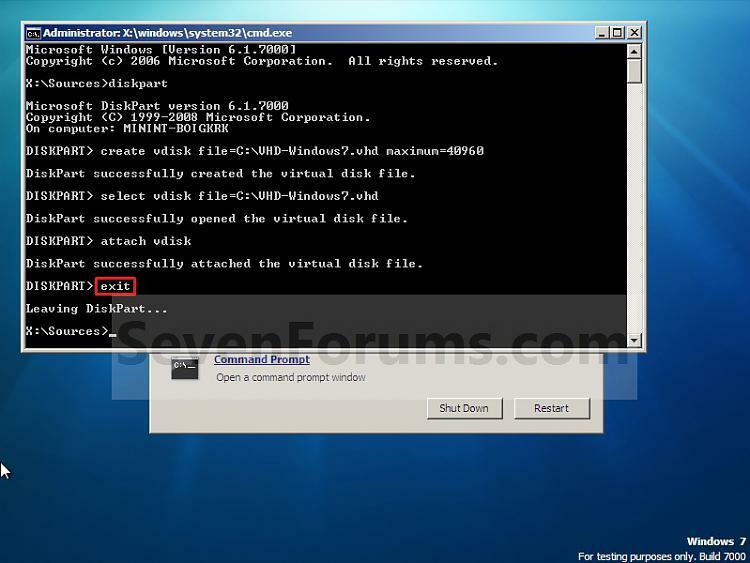 NOTE: If you subsituted the VHD-Windows7 name in step 7 or 8, then you will need to use it here as well. 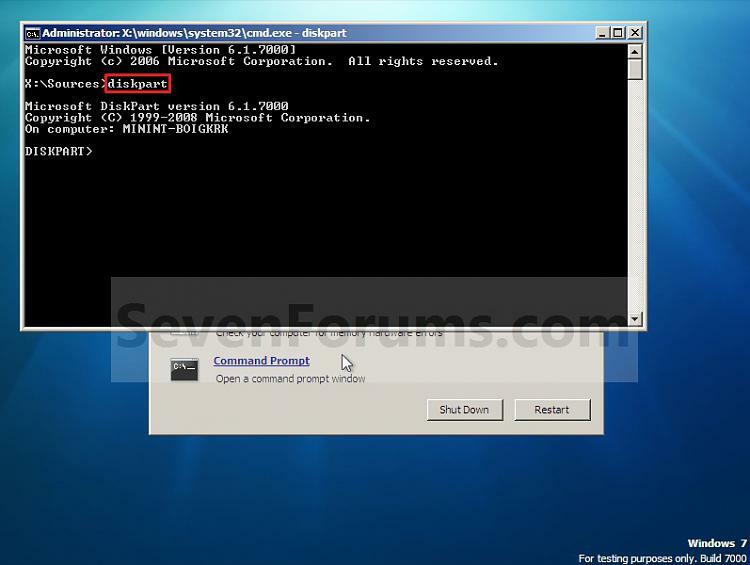 Substitute the C drive letter in the command below for what volume (step 5) you would like to create the VHD on. A) If you used step 2 above, then click on Next, and go to step 13 below. B) If you used step 3 above, then continue on to step 12 below. WARNING: You must close it only. Do not click on the Shut Down or Restart button. NOTE: If you see the Windows cannot be installed to this disk warning, then you can ignore it. 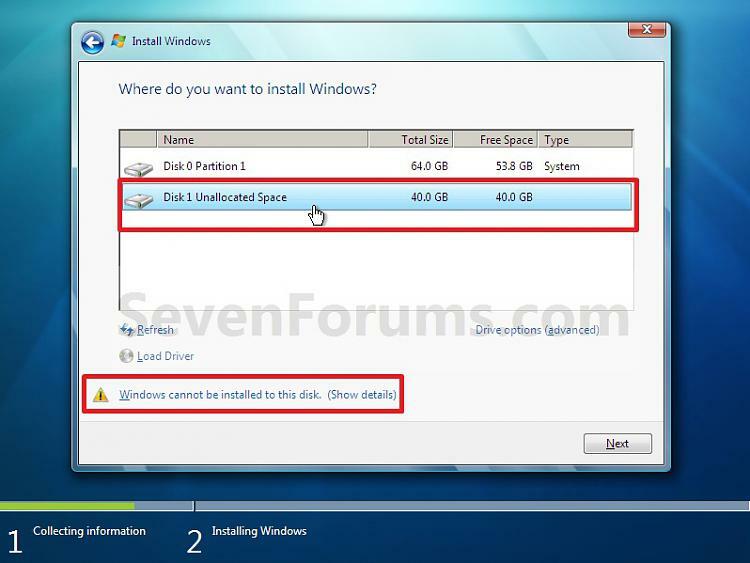 Windows 7 will still install on the VHD file. 17. Finish doing a clean install of Windows 7. 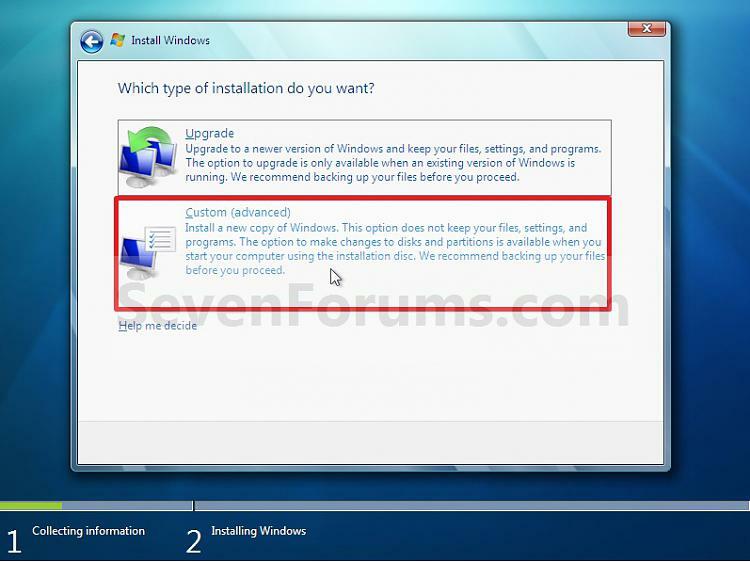 NOTE: You will pick up at step 10 at that link to finish installing Windows 7 on the VHD file.